T-Mobile has been keeping busy lately with its effort to deploy a mobile 5G network and its proposed merger with Sprint, and today T-Mo unveiled another major project. 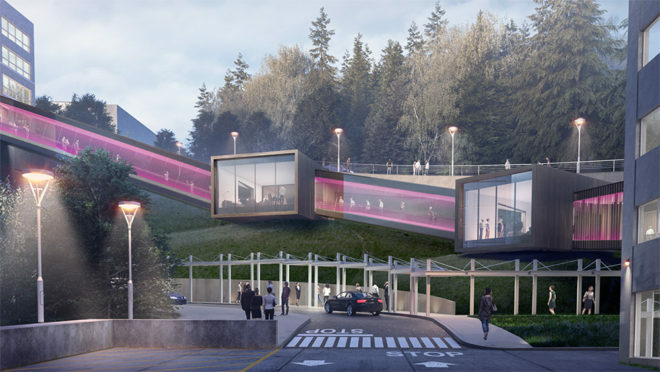 T-Mobile today gave a glimpse of its plans for a new campus in Bellevue, WA. T-Mo and its landlord Ivanhoe Cambridge have broken ground on the new campus, which is a $160 million renovation that’ll take three years to complete. 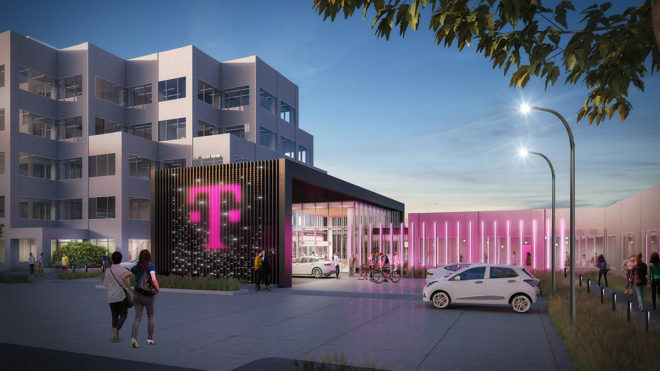 The new campus includes “neighborhoods” that’ll include open and assigned seats for employees, which T-Mo hopes will offer different configurations to suit different working styles. One of the perks of these neighborhoods, T-Mobile says, is a dry-cleaning dropoff. 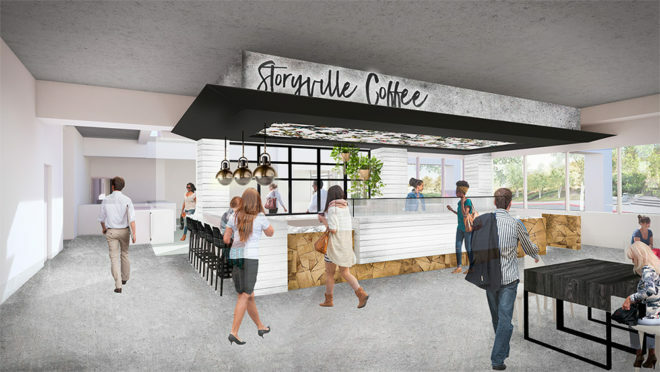 Another perk will be coffee shops, a food hall, and a gastropub that could help to give employees a scenery change from their usual working spot. T-Mobile also hopes that co-working areas and third-space areas with chairs will help to create more collaboration between employees, while an IT support area will help with technology support. 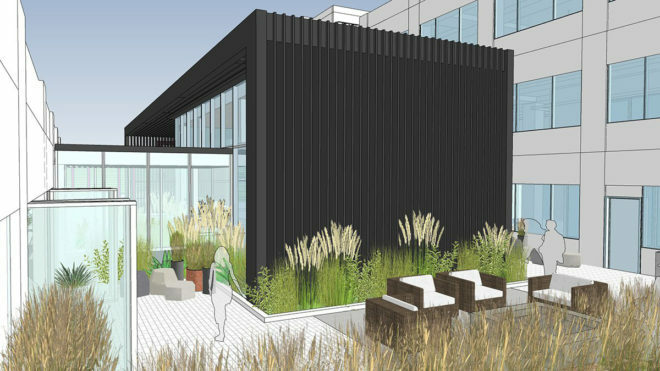 The green outdoor space surrounding T-Mobile’s new campus will be a major focus of the renovation, with T-Mo saying that it’ll offer balconies, outdoor hubs, and a pedestrian-friendly area similar to The High Line in New York City. T-Mobile is also working to making its new headquarters operate on 100 percent renewable energy by 2021, and the buildings will offer a green design and earn LEED certification. The goal is also to earn a Fitwel certification to promote a healtheir workplace with accessible design, health food options, natural lighting, and outdoor spaces. As part of its proposed merger with Sprint, T-Mobile has suggested that it could open a second headquarters in Kansas (Sprint is currently headquartered in Overland Park, KS). T-Mobile is trying to show that it’s also committed to its current HQ in the Seattle area, though, with this renovation and the news that it’s reupped its Bellevue lease through 2030. 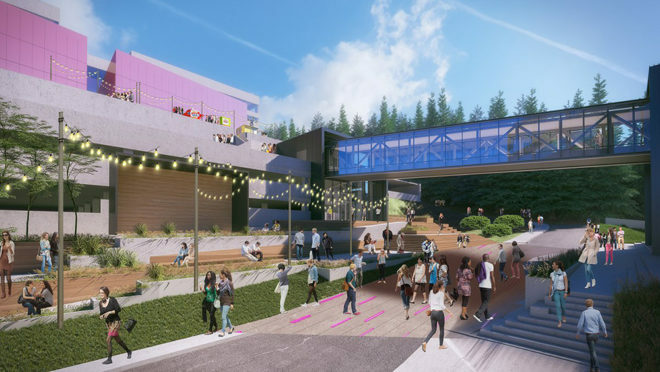 This new campus concept looks pretty modern, offering “neighborhoods” with open working areas for employees, on-campus coffee shops and a gastropub, and more. It’ll be interesting to see what the final product looks like when it’s complete a few years from now. I’m a midwesterner who lived in northern NJ for the past 15 yrs and now happily back in MI. I’d think T-Mo would be far better served located on the east coast as NYC really is the world capital as Mayor Koch was all too happy to remind people. Building an HQ along I-80 or I-78 should be a no-brainer. I think it would fly against their culture / want to be away from hostile environments– whether the politics of DC area or confrontational NY press & Wall St crowd. Besides costing much more vis a vis weather, traffic, RE, labor, etc. I’m kinda fed up with the East Coast, could also do with a nice, quiet Midwest relocation, if only they had legal sportsbetting….seems like the best part of America, with the least amount of BS. T-Mobile became an Uncarrier by making moves that disrupt the industry. With that being said, a second HQ in NYC or another large corporate hub doesn’t exactly make sense. The goal in this merger is to minimize job displacement. Also, markets like NYC (among others) also have a higher cost of living which do not really compliment a company with a focus on customers and employees. Especially since a lot of the growth is existing businesses opening up HQ 2 or regional offices which could be based anywhere in the middle of the country.